If you've ever hired a car it's quite possible that the price you've actually been charged after you rented the vehicle is rather more than the amount you thought you were going to pay. That's usually down to 'add-ons' - extras that are added on top of the actual cost of renting the car. Some of these things, such as a minimum of third party insurance, are a legal requirement, but others, such as theft protection, are not - and it's sometimes quite hard to work out what it is and whether you need it or not. There are several different types of insurance that you will be offered before you hire a car. The most common are listed below. Also referred to as Motor Liability Insurance or Legal Liability Insurance, 3rd party cover is usually included in the price you are quoted for rental. Any damage caused to the hire car. Do read the small print though - you will still need to pay an excess charge towards the repairs to the damaged hire car - and in the UK this can be anything up to £600. However if the hire car provider can get the cost back from a third party who is at fault for the damage then they will usually give you the money back. As above if you claim this insurance you will be expected to pay an excess charge towards the cost of replacement of either the car or its parts, which in the UK can be up to £600. This means if you leave the keys in the ignition, or lose them, then you are likely to not be covered. Who is Covered to Drive? Only 'named' drivers on the rental agreement are covered by the insurance. Extra or additional drivers can be put forward onto the cover for a charge. 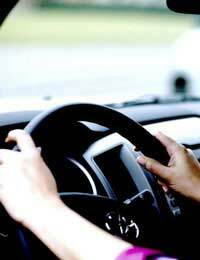 Your car-hire provider can give you further details if required. If you are concerned about being covered for damage to your hire car, make sure that the insurance you choose covers you for this – otherwise you will be expected to foot the bill for any damage caused to the hire car while it is in your possession. Even if you do get the damage insurance, make sure you ask the important question and find out how much the excess charge is before you sign on the dotted line, or you could end up paying out for both the insurance and any damage caused.